To be included in the hall of fame of blackjack a diverse selection happen in 2002 and many experts, players and authors are included in it. People can vote on the total process and in January 2003 the final list had been announced. This hall of fame is devoted to honoring the people who have an exceptional role on the revolution of the game. Initial voting process was determined by the professional blackjack players because only the professional players know the true effect of any tricks or rules or systems announced by any person. They can also judge the master person or author whose theory is really applicable in blackjack. People who play blackjack professionally for at least 5 years are eligible to vote. He was the inventor team play and this made him legend of blackjack. He was the author of the highly praised expert in Blackjack; he also has the ability to win a game with his mathematical terms. Peter is a math genius who 1st successfully applied the mathematics in the game. Uston was a master player of blackjack because he knew well about the card counting, the hole card techniques, the concealed computer play etc. For big player team he changed the way to play the game. 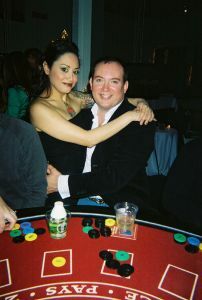 Edward Thorp is the legendary writer of "Beat of Dealer". Hyland has the most victorious blackjack squad in the world, his side earned millions of dollars in last 25 years. The blackjack formula of Snyder revealed the secret of card counting and made that easier to understand. Every year a few new members enter the hall of fame, but from 2006 the rule changed and they decided to include a single person every year. Barona casino has become the home place of hall of fame like the Binion's Horseshoe's poker players wall of fame. This house included with a museum with the cheating electrical and electronic devices on display.